It would be an understatement to simply call Xiu Xiu cathartic. 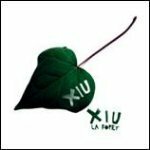 Perhaps Jamie Stewart's inability to top year end lists, despite making some of the most ground breaking music around today, can be contributed to how Xiu Xiu can divide opinion. I can think of no other reason that last year's Fabulous Muscles, a dense, arty and immediate affair, didn't conquer the world. Simply put, you'll either love the combination of synth-pop/post-punk/goth/look-at-me theatrics, or you'll be one of my roommates telling me that you "could do that in the basement," or "Xiu Xiu is horrible." For anybody new to this band, ignore what your friends have told you about Xiu Xiu being over dramatic, morose or "cry-singing." Jamie Stewart actually has a wicked dark sense of humor and intelligence for anybody willing to give this a listen and look past the apparent angst/temper-tantrums that will scare countless others away. How one could listen to classic Xiu Xiu lines such as: "This is the worst vacation ever, I'm going to cut open your forehead with a roofing shingle," or "Cremate me after you come on my lips, honey boy/Keep my ashes in a vase beneath your workout bench," and not bask in the challenging and pretentious beauty of it all? So don't take my word for it, (or your friends' words,) go out and get La Foret, put on some headphones, and see what side of the fence you sit on. Maybe you will cringe and reach for your Bloc Party vinyl, wondering how that idiot reviewer could mention Xiu Xiu and Sufjan Stevens in the same sentence. Or, perhaps, you'll discover a dark and beautiful album with true emotional resonance and weight that mere temper-tantrums or posturing could never match.